Is your liver keeping you unwell? Fatty Liver disease can ruin your health, make you overweight, plus stop you from losing weight, cause you to become diabetic, cause cirrhosis and liver failure. 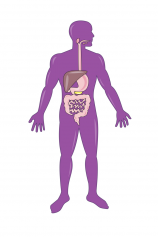 Many illnesses could be reversed just by people concentrating on improving their liver function. Some of the symptoms of fatty liver may consist of: feeling tired and fatigued, bloated stomach, pain over the liver (right upper abdomen), pot belly or a roll of fat around the abdomen, reflux and heartburn, overheating of the body, body odour and bad breath, itchy skin or rashes, hot or burning soles of the feet, headaches associated with nausea, gall bladder problems, bad sleep patterns, unexplained weight gain and inability to lose weight, depression and bad moods. YOUR LIVER IS CRYING OUT FOR HELP! 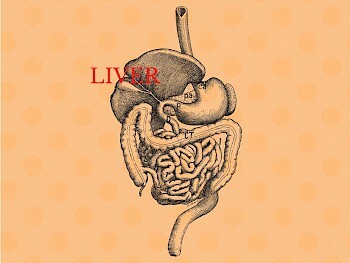 What does your liver do: It’s a filter which cleanses the blood stream so healthy clean blood returns to the heart. If the filter is blocked with toxic fat, it can’t cleanse the blood properly. A healthy liver filter removes and destroys, dead and unhealthy cells, bacteria, parasites and fungi, toxic chemicals and heavy metals which contaminate our food, water and air. If the liver is swollen with fat, it can’t remove these things and our immune system becomes overloaded and we age more rapidly. – Incorrect diet is the most common cause; such as a diet high in refined carbohydrates (sugar, white flour, pasta etc). Diets high in unhealthy fats (like highly processed canola and vegetable oils, also found in processed and take away foods). 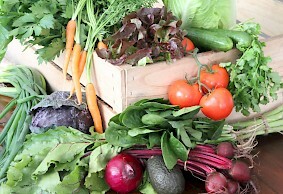 Diets low in fresh plant food (fruits and vegetables). Diets low in nutrients and antioxidants like vitamin C. Diets low in good quality protein. – Some prescription medications taken for long term may have potential side affects on your liver. – Recreational drugs, such as alcohol, narcotics etc. – Exposure to environmental toxins like solvents, dyes, plastics, glues, insecticides, pesticides, dry cleaning fluids, harsh detergents and many industrial chemicals. – Family history of diabetes, fatty liver or cirrhosis. These increase your risk of developing a fatty liver. – Liver Function blood tests – the liver enzymes will be raised. – Ultrasound Scan of the abdomen – this will show if the liver is enlarged and has an abnormal texture. – Liver biopsy – is a way to show the severity but does come with risks. THE GREAT NEWS, FATTY LIVER IS REVERSIBLE but we need to catch it before it develops into cirrhosis. – Follow a low carbohydrate diet (exclude sugar plus artificial ones, all gluten and grains). – Increase the amount of raw plant food and steamed vegetables in your diet. – Eat good quality (grass fed) protein with each meal. – Don’t eat very large meals. – Drink plenty of filtered water. – Have a regular exercise program. HOW I REVERSED MY FATTY LIVER DISEASE!! I followed a Paleo lifestyle and I did moderate exercise (walking). It was hard to get my head around removing so many foods from my diet (YES it sure was!) but only until I focused on what I could eat and not what I couldn’t. I then got excited about how creative I could get with the foods allowed. I added cinnamon to my smoothies and savoury dishes. A recent study has shown cinnamon is a remarkable spice that improves elevated liver enzymes, elevated blood fats, inflammation in the body and insulin resistance. I came across so many others suffering from fatty liver and loved sharing my new recipes I was creating, this eventually resulted in the publishing of my cookbook. I recommend you read Dr Sandra Cabot’s book, “Fatty Liver-You Can Reverse It”. Change your diet and lifestyle immediately. Visit my website for some delicious recipes and sign up for my newsletter so you don’t miss any new recipes coming out. You are very welcome to send me an email with any questions. Like my Facebook page to keep updated with what I’m up to. 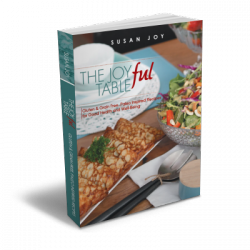 Check out my cookbooks ‘The JOYful Table’ (hardcopy, soft and e-book) and ‘The JOYful Christmas Table’ (e-book), plus ‘The JOYful Table 5-Week Meal Plan’ (e-book) for family recipes to keep you on track. If you have been diagnosed with fatty liver disease, be grateful it’s been discovered and now you can start on a path to reverse it. It’s time to embrace it and start your journey to wellness. Set aside your overwhelming to-do-list and focus on the changes you are going to make and commit to them. I was addicted to sugar, if I can do it so can you and remember I’m here to help you through your journey. You may have thought the way you feel is normal. Wait until your diet and lifestyle has changed, you won’t believe how good you feel (years younger).